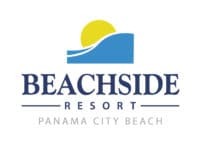 Beachside Resort Panama City Beach collects, processes and stores standard data collected by all web server software, as well as personally identifying information (“Personal Information”). The Personal Information we collect is typically information that you voluntarily provide to Beachside Resort Panama City Beach through the Site (for example, name, e-mail address, other contact information) or by your presence at our hotel. However, sometimes Personal Information is derived from indirect sources (e.g., inferences from other information; third party sources, including collecting publicly available information from social networking web sites). Collecting and analyzing this information will help us understand your interests better and improve our service to you. If you have concerns about our Personal Information collection policies, please contact Jillian Glenn, Chief Marketing Officer at [email protected]freehotels.com . To the greatest extent possible, we will offer you the choice to not submit Personal Information. However, the election not to submit Personal Information may affect or inhibit your ability to carry out certain transactions with us. For example, not providing a name will prevent the processing of reservations. That data and Personal Information collected by Beachside Resort Panama City Beach will vary based on applicable law, but may include: (1) the Internet Protocol (“IP”) address used for your connection this Site (but not your e-mail address); (2) the domain name assigned to your IP address (if there is one); (c) the type of browser and operating system you used to access this Site (for example, Mozilla/4.0 [compatible; MSIE 4.01; Windows NT; IE4WDUS-1998101501]); (3) the date and time you visited this Site; (4) the web pages or services you accessed at this Site; and (5) the website you visited prior to coming to this Site, which enables analysis of how visitors reach the Site; (6) your name, gender, home/work contact, date/place of birth, nationality/passport/visa information, names/ages of children, and job title; (7) information about your hotel visits (including previous hotels where you have stayed), arrival/departure dates, goods/services purchased, special requests and service preferences (room; holiday; etc. ); (8) information necessary to accommodate your special requests and service preferences (ex., health condition information for special room requests); (9) telephone and fax usage, and telephone messages received; (10) credit card details, Stash hotel rewards member information, online user account details (profile, password, etc.) and frequent flyer or similar travel information; (11) information provided in survey feedback and contest or promotional offer participation; (12) information about your on-site activities collected from on-site security devices; (13) pertinent information about the employees of corporate accounts, vendors and others conducting business with Beachside Resort Panama City Beach (ex., travel agents, wedding/meeting/event planners, etc. ); (14) with user consent, geolocation information (iPhone and other mobile internet users); and (15) non-personally identifiable information about you, such as your use of our Sites, communication preferences, travel habits, and aggregated data relative to your stays. Beachside Resort Panama City Beach generally does not share, rent, or sell Personal Information you have given us to any third party without your permission. However, we may disclose your Personal Information in the following instances. To permit third party service providers who are engaging in business functions on Beachside Resort Panama City Beach’s behalf (such as credit card processing, customer support services, market research administration, client communications and outreach, or database management services) to fulfill their obligations and tasks for us. When required by law, subpoena or other legal process or in good faith belief that such action is necessary to investigate or protect against harmful activities to Beachside Resort Panama City Beach guests, visitors, associates, or property (including this Site), or to others. In connection with a transfer of the Beachside Resort Panama City Beach, to the extent necessary to facilitate the continued operation of the business and ensure contractual obligations are met. Because the security of your Personal Information is important to us, this Site uses encryption software, either through Secure Socket Layer (“SSL”) or a comparable product, to enable secure transmission of data by encrypting it. The URL in your browser will change to “HTTPS” instead of “HTTP” when this security feature is invoked. Your browser may also display a lock or key symbol on its task bar to indicate invoked secure transmission. If these indicators are not present, information may be susceptible to interception by other parties. Even with SSL protection, it remains important to protect against unauthorized use of your login profile and password by taking standard precautionary measures (logging off; protecting passwords; etc.). Most Internet e-mail communication is not considered secure. If you are communicating sensitive information, consider sending it in by postal mail or contacting Beachside Resort Panama City Beach by phone. Please bear in mind that “guaranteed security” does not exist, whether on or off the Internet. Even so, we strive to take appropriate administrative, procedural and technical safeguarding measures to protect your Personal Information. A cookie is a small text file created by a website server (including the Site server) and stored on your Device’s hard drive. Cookies save unique information that the website server can access while you are browsing our Site. Typically, cookies save information such as your website preferences, the date you last looked at a specific page, or a random number used to identify your particular Site session. Cookies help us measure how many visitors come to our Site and how many of these visitors are new or returning. Cookies also enable certain functions on our Site to function properly (such as booking engines) or more efficiently (retaining and auto-filling or transferring previously provided information from web page at the Site to the next, or from one Site visit to the next). Finally, cookies also can be used to collect anonymous information about the pages you visit at the Site. Cookies are not used by Beachside Resort Panama City Beach to obtain any Personal Information that you do not affirmatively elect to provide to us. This Site may, from time to time, provide links to other websites as a convenience to visitors. These may include links to websites operated by government agencies, nonprofit organizations, and other private businesses unrelated to Beachside Resort Panama City Beach. When using one of these links, you are no longer on this Site, and you are subject to the terms, conditions, and policies of that website. Neither Beachside Resort Panama City Beach, nor any officer or employee of Beachside Resort Panama City Beach warrants the accuracy, reliability or timeliness of any information published by any external sites, nor endorses any content, viewpoints, products, or services linked from those systems, and cannot be held liable for any losses caused by reliance on the accuracy, reliability or timeliness of their information. Portions of such information may be incorrect or not current. Any person or entity that relies on any information obtained from those sites does so at his or her own risk. Beachside Resort Panama City Beach may from time to time mail, e-mail, telephone, or contact you by other means to notify you of upcoming special offers, new services, events, or other relevant information that we think may be of interest to you. By using the Site, you agree to receive certain electronic communications from Beachside Resort Panama City Beach. Every e-mail communication from Beachside Resort Panama City Beach or its authorized agents (other than reservation confirmations and similar-such communications), will contain explicit instructions for removing yourself from the applicable mailing list. You may also unsubscribe at any time by emailing [email protected].